Grilling is quick and easy way to prepare Walla Walla Onions, and one of our favorite ways to enjoy them. 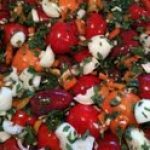 The the young “spring” onions, available early in the season, are coveted for their especially sweet and mild flavor, and are a real delicacy. Grill them whole until charred, and the small onion will slip out of the skin. 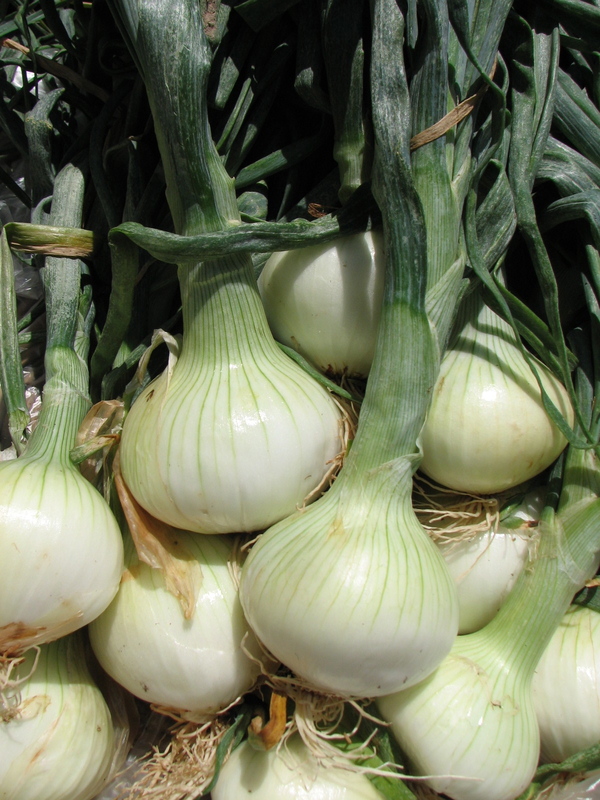 The fresh, long green tops are also edible with a mild onion flavor.Grilling is quick and easy way to prepare Walla Walla Onions, and one of our favorite ways to enjoy them. 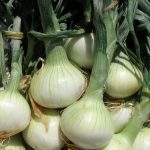 The the young “spring” onions, available early in the season, are coveted for their especially sweet and mild flavor, and are a real delicacy. Grill them whole until charred, and the small onion will slip out of the skin. 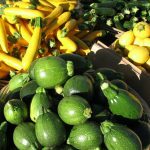 The fresh, long green tops are also edible with a mild onion flavor. Prepare grill (medium high heat). Brush both sides of onion slices with olive oil. Oil grill rack. Place onion on barbecue. Grill onion slices until just tender, about 4 minutes per side. If onion is left whole, follow the same directions. The onion's green tops will char quite a bit, this is fine. Add two cloves of crushed garlic to the olive oil before brushing oil on the onions. Or, cut an "X" into the bottom of the onion bulb and let it soak in a beer/lemon juice mixture for at least an hour. Follow the above directions.